Private sector building approvals in Western Australia grew month on month for a third period in a row in June according to data released yesterday morning. This is encouraging following six months of weaker numbers surrounding the turn of the calendar year. WA private sector numbers increased by 7% in June versus a national market which rebounded 6%. 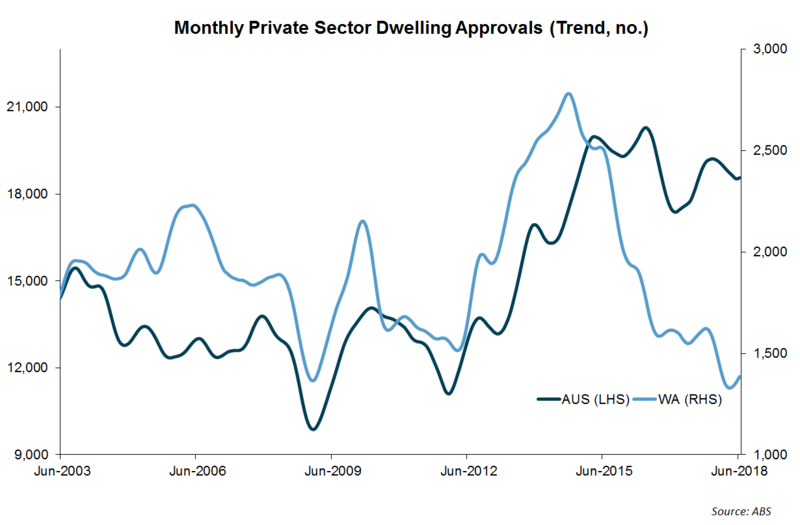 As can be seen from the trend chart below WA approvals have some way to go before reaching normal levels. We expect this will occur over coming years as population growth rates continue to normalise following post resource boom lows.